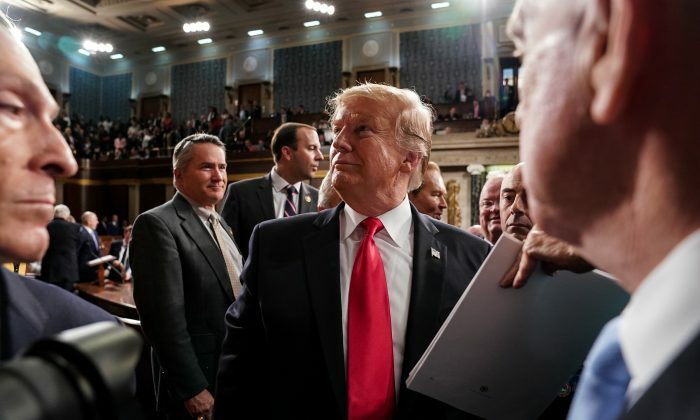 People are slamming dubious fact checkers for their overt bias in analyzing portions of President Donald Trump’s State of the Union speech. One particular example was from the government-funded, left-leaning NPR, which provided a “fact check” of Trump’s statement praising the record-high number of women in Congress. NPR responded to the statement by admitting it was completely true, but tried to inject partisanship into the equation, which Trump mostly avoided in the speech. Ted Hesson, an immigration reporter for the outlet, wrote that the report was based on a survey of 467 migrants in shelters that it supports in Mexico. He did not make clear how the statement was only “partly true. He seemed to be speculating that future surveys may not replicate the numbers but he didn’t cite any sources to support his argument. A number of other sources also pegged the number of female migrants being sexually assaulted at around one in three or higher. For instance, Customs and Border Protection Commissioner Kevin McAleenan said last year that his agency’s intelligence and interviews put the numbers even higher. The Washington Post, perhaps the most open about its anti-Trump sentiment among news agencies, also wrote a dubious fact check. The Post admitted that the statement was true but tried taking aim at the reason for the number. “A simple ‘Fact check: True’ would’ve done it. But ok,” added another. THIS IS NOT A FACT CHECK. “There are more women in Congress than any other time in history. That’s what he said, that is a fact is it not,” added another user. “You folks need less taxpayer funds. This qualifies as daily beast material not the nation’s subsidized news platform,” added another.